Lesbian, gay, bi, trans? What we are fills us with pride. In many countries homosexual, bisexuell and transgender people still have to fight for recognition, such as in Ukraine and not seldom also in Germany. We want to fight with you. We rely on your help for our campaigns and projects – working together we can achieve a whole lot. If you want to join in you can become part of Munich Kyiv Queer. If you would like to help us with a donation, you are welcome to do so. Usually even small amounts can have a big impact. We thank you very, very much. The Munich gay center, Sub, is a registered charitable organization so donations can be set off against tax. If you give your address, the Sub will provide you with a donation receipt. With the permission of our donors, we would like to thank all private individuals, clubs, organizations, groups and projects, who support our work with their contribution. Munich Kyiv Queer depends on your donations. A big thank you to all our donors! 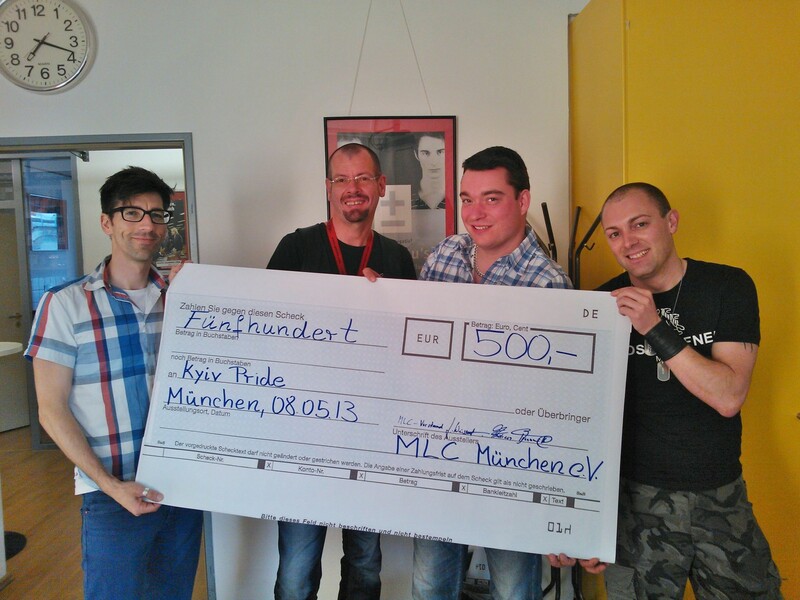 Your money benefits the projects and campaigns of Munich Kyiv Queer.